Yatziri Rodriguez is an only child born in Los Angeles, California and raised in Davenport, Florida. 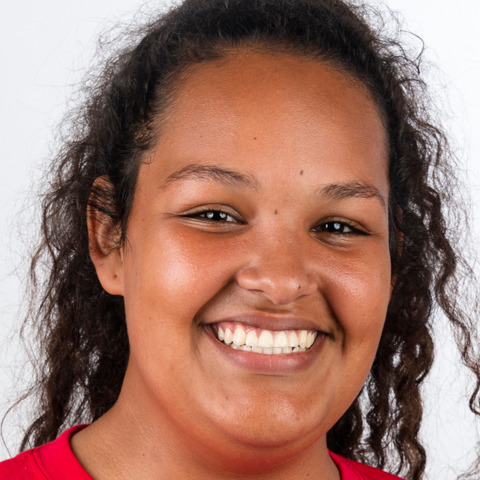 Her cousin Katia Rios is also a member of the Unified volleyball team who will represent USA at Special Olympics World Games Abu Dhabi 2019. Yatziri has tried many sports in the past but so far her favorite has been volleyball. Volleyball tests her and the team by working together to achieve great things while also having fun. "Our Special Olympics team is unlike any other team I have been on before. Since being part of Special Olympics I have learned so much from my teammates as well as our coaches. They teach us that one bad game or practice shouldn't bring us down but to pick our heads up and keep at it because we will have practice on Wednesday." Yatziri loves to travel and hopes her future job will give her the opportunity to explore different counties and places. She is currently in college working on an A.S. in business management.